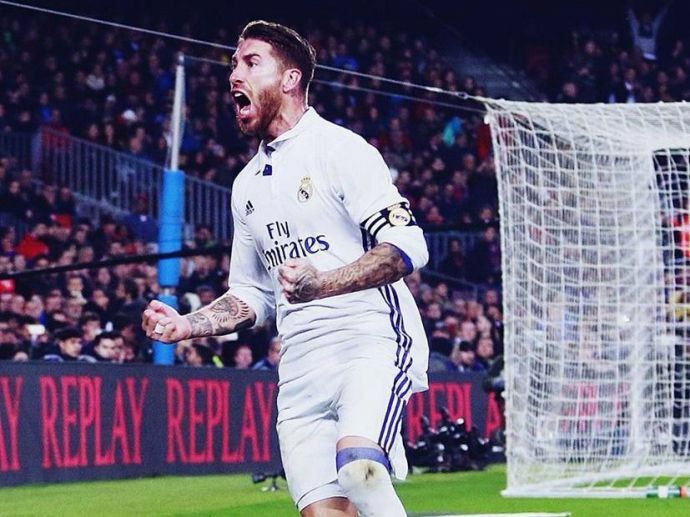 Sergio Ramos Stuns The ‘Camp Nou’ With His Dramatic Late Goal Equalizer In A Thrilling ‘El Clasico’ Clash! Thrilling contest ends in a draw! The tables were set, odds were even, and the world was ready to stop for 90 minutes when two of the biggest footballing giants were ready to clash against each other in what is considered as one of the greatest sporting rivalry on this planet, ‘El Clasico’. Spanish heavyweights Real Madrid and Barcelona were all set to dazzle the world in this fierce face off which was extremely crucial for both sides with the result potentially deciding the standing of the teams going in with the league. Barcelona was under slight pressure ahead of this match with 6 points adrift of the league leaders Real Madrid. A loss would have meant a 9 points gap between them and the ‘los meringues’ and the criticism that would have followed after the loss to their bitter rivals at their home ground would have been dreadful for the Catalans. Both the teams came out all guns blazing sporting their best possible playing 11. Real Madrid were without Gareth Bale and Toni Kroos, both stars out with injuries, while Andres Iniesta was benched for the match. The match started as expected with both teams vying for the possession and trying to hit on the counter. It was an exciting first half, though the score remained nil-nil. At the beginning of the second half Barcelona was all pumped up with MNS clicking together exceptionally. The Catalonians were soon rewarded with Luis Suarez striking from a set-piece. Neymar’s delivery was beautifully headed in by the uruguayan to put Barcelona 1-0 ahead. Real Madrid soon started to regroup and tried their level best to level in the game. 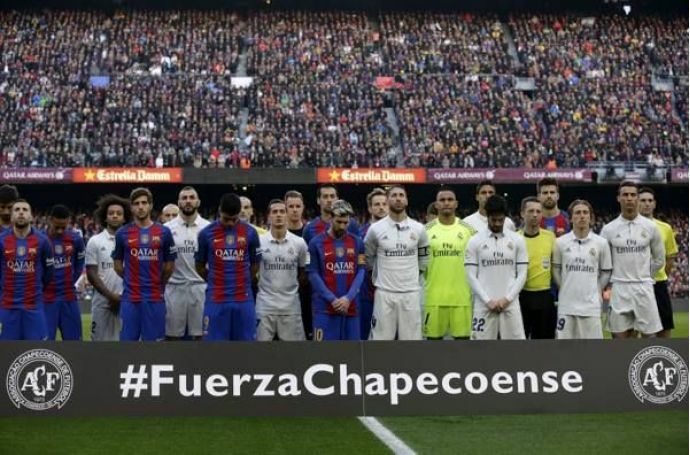 Though the whites enjoyed most of the possession after Suarez’s goal, Lionel Messi and Neymar had the most amazing chance of the game which they apparently missed much to shock of around 80,000 home fans. 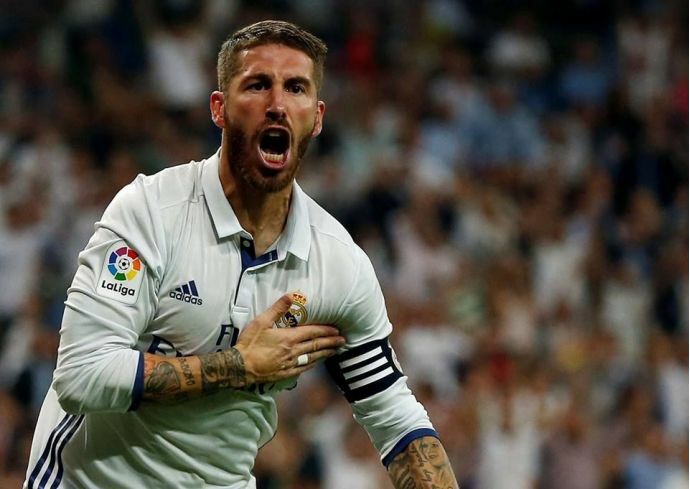 Real took advantage of this sloppy work when Sergio Ramos struck with a bullet header in the dying minutes of extra time. Luka Modric who arguably was the best player of the match put in a lovely cross and Ramos with his predilections to score late in high profile matches against big teams salvaged a point for Madrid. This draw now maintains the 6 point gap between the teams with Real sitting comfortably at the top. This clasico promised every bit of thrill, fun and awe to the fans that was expected from it.